This was a simply wonderful project to do. There were 17 people at the beginning and 19 at the end of the project. "YES" to us everywhere along the line. The cooperation we received was just great. 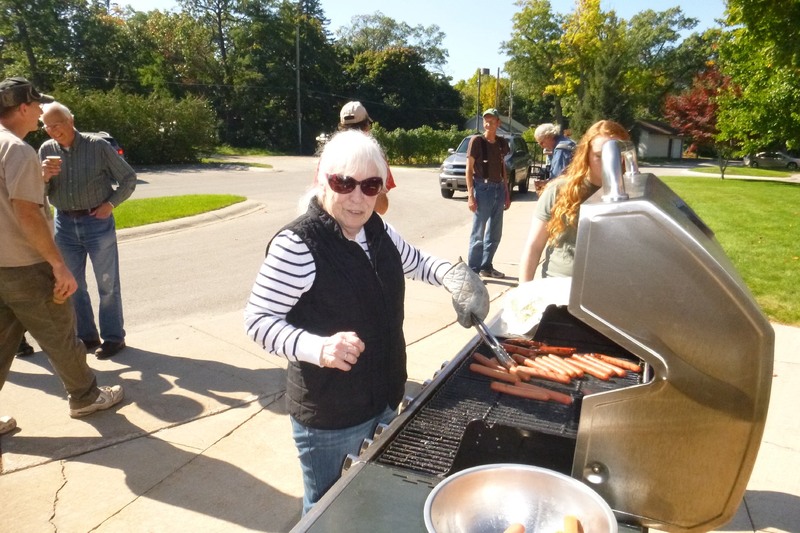 It all began when the National Cherry Festival made a donation to the BRCS. 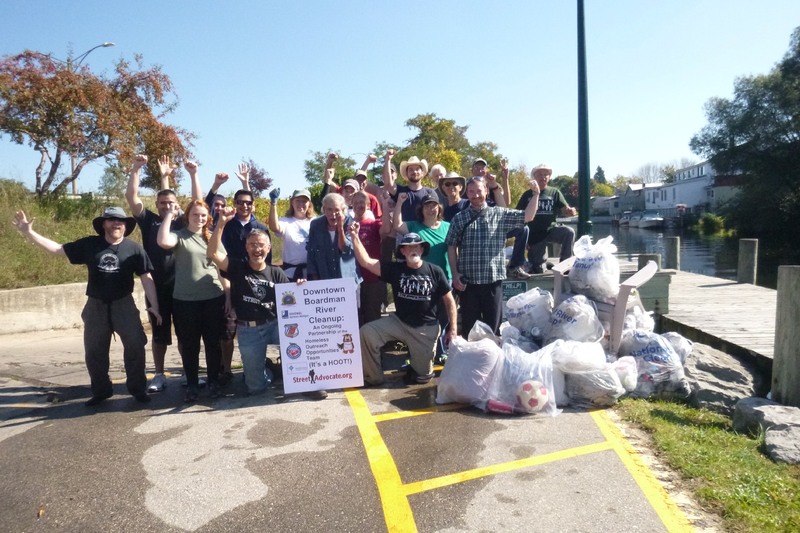 funding as a way to help clean up the downtown section of the river. section remained full of trash even after we had cleaned it 19 times in 11 years. their clients was a great idea. Then I just sat back an waited for them for make it happen and THEY DID! and we were ready to go. efforts of the Goodwill crews who were walking both sides of the river. end. They met in the middle around Union St. and the Parkway. and pass out more bags. The trash was then taken to the boat ramp. 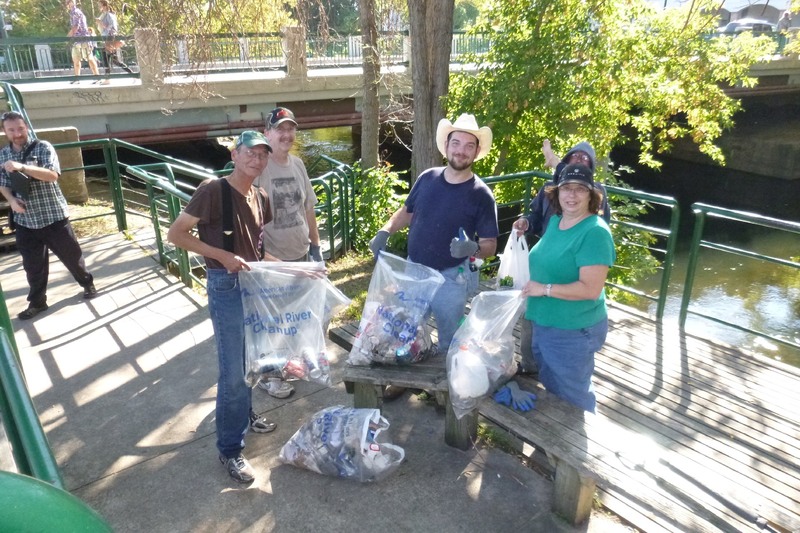 At the end we had 15 bags full of trash - more than we had ever found before. Jacquie Rossfeld. 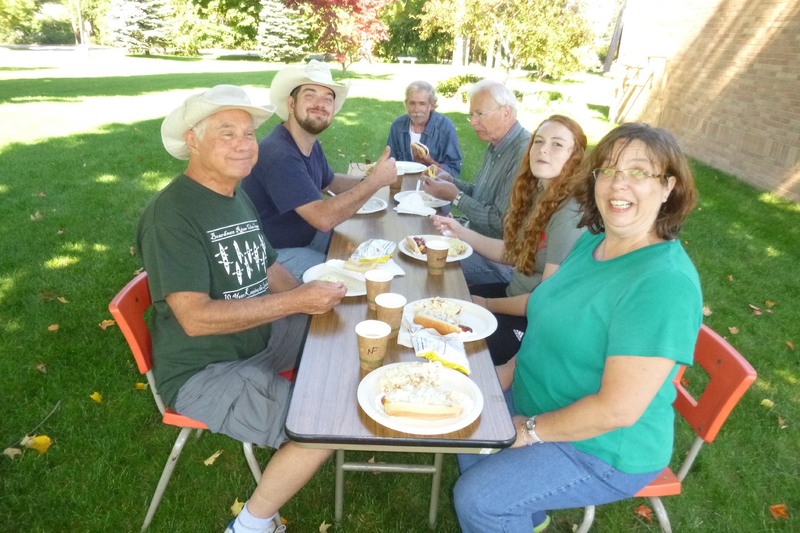 The food was provided by the BRCS and the church. supplies and equipment to help them to continue this project. 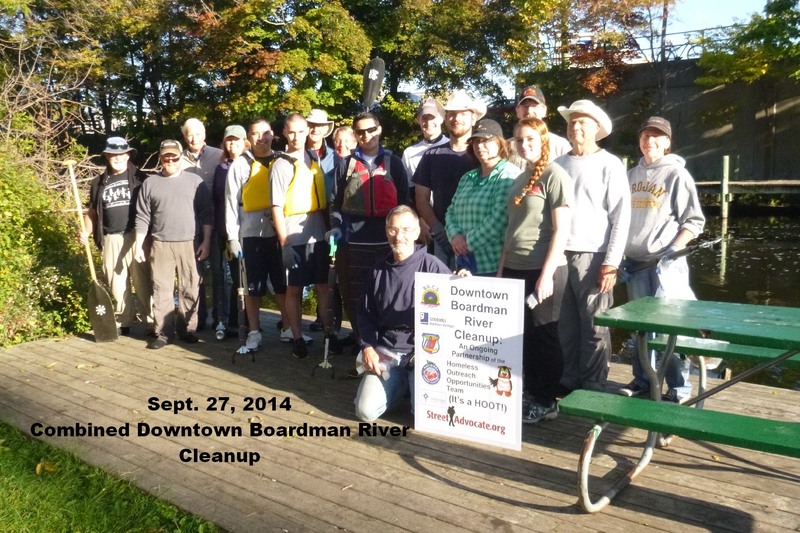 to make the Boardman River a show place for the Traverse City community. THANK YOU. Your cooperation was wonderful. You are all very special people and deserve the very best in life. THANK YOU for helping the BRCS do something we could only dream of doing. This has been something that we have talked about but thought was impossible. Your encouragement and funding was invaluable to getting this done. your clients and how to treat them like real people and assets to the community. hospitality will be remembered by all of us. Thank You, Jacquie! Until next season, have a great Fall and Winter and we will be back in the Spring.